Not sure how to make cinnamon sugar? 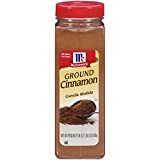 Here’s the perfect cinnamon sugar ratio, plus how to make the best cinnamon sugar toast and other cinnamon sugar recipes. 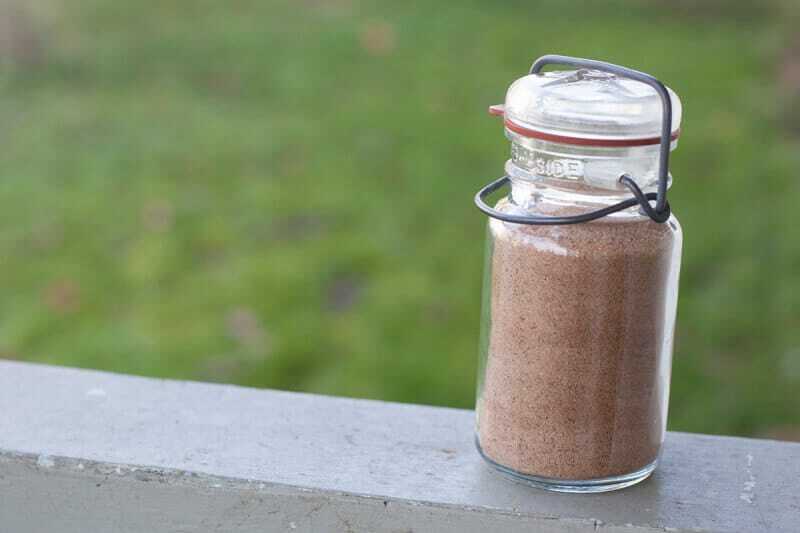 I grew up with a shaker bottle of sugar and cinnamon that kept permanent residence on our spice rack for the impromptu cinnamon sugar toast snack. I used to think that everyone just knew how to make cinnamon sugar. But through teaching cooking classes, I’ve come to realize that it can actually be intimidating for some people. And that a lot of people even buy it instead of making it. Please don’t ever buy a cinnamon and sugar mix already made! It’s really a waste of money. You can make your own in less than a minute. Seriously, go get the cinnamon and sugar, and mix it right now! The perfect cinnamon sugar ratio is 1 to 4. That means 1 tablespoon of cinnamon and 1/4 cup of sugar. Or 1/4 cup of cinnamon, and 1 cup of sugar. You can scale that cinnamon sugar ratio to whatever amount you think you will need. You can also adjust your cinnamon or sugar in the sugar cinnamon mix. I love the heady aroma of Saigon cinnamon when I am making a batch. But I find your typical cheap cinnamon works just as well, and it’s what I grew up on. You can make your mix with a sugar substitute as well. If you’re on a low-carb diet, or diabetic, try using Xylitol instead of sugar. The ratio is the same. I like to use organic sucanat or coconut sugar since we rarely have white sugar in the house now. If you buy ANYTHING on Amazon from one of these links, we get a little commission without it costing you any extra. Thanks for supporting our family business! Butter your slices of bread. Place on a cookie sheet with buttered/sprinkled side up. Bake at 350F for 5 minutes. Turn to broil and place directly under the broiler for 1-2 minutes until top is crispy and golden brown. Here are some of our favorite recipes from Eating Richly and around the web that would be perfect for using your homemade cinnamon and sugar mix. 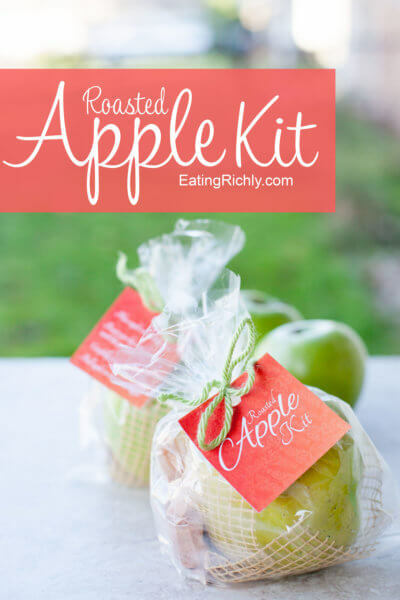 We are huge fans of edible gifts, and this Roasted Apple Kit is a popular one. There’s even a free pdf for you to download for the tags! 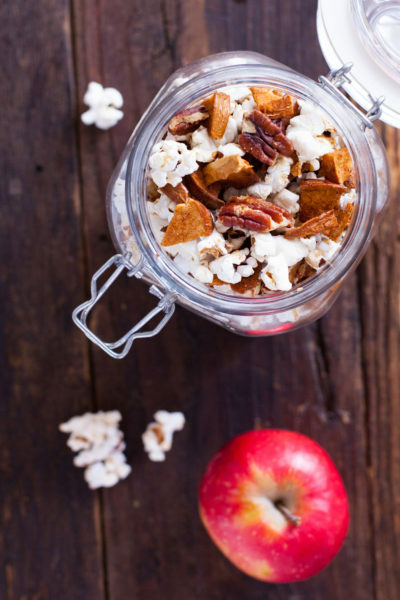 This healthy cinnamon popcorn recipe uses cinnamon and maple syrup. But you could absolutely substitute 3 tablespoons of cinnamon and sugar mix for an equally delicious snack mix. The very basic childhood favorite. Pour sugar and cinnamon into a small jar. Seal and shake well. Approximate cost/serving: I get my sucanat in bulk from AzureStandard.com and but cinnamon from the bulk bins. This just costs me pennies! Vegetarian/Gluten Free: Yes to both. 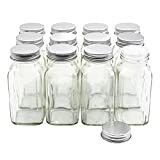 I was wondering if I could use stevia in place of sugar. I have diabetes and am looking for different options for my English muffins. Great question Mishal. I have not tried this with Stevia, but I’m guessing you would need to use a smaller amount of stevia than sugar because the substitution ratio is usually smaller. Stevia can also have a bitter taste when you use large amounts. I would suggest trying 1 Tablespoon cinnamon with 2 Tablespoons stevia to start and see what you think of that. Let me know how it goes please! 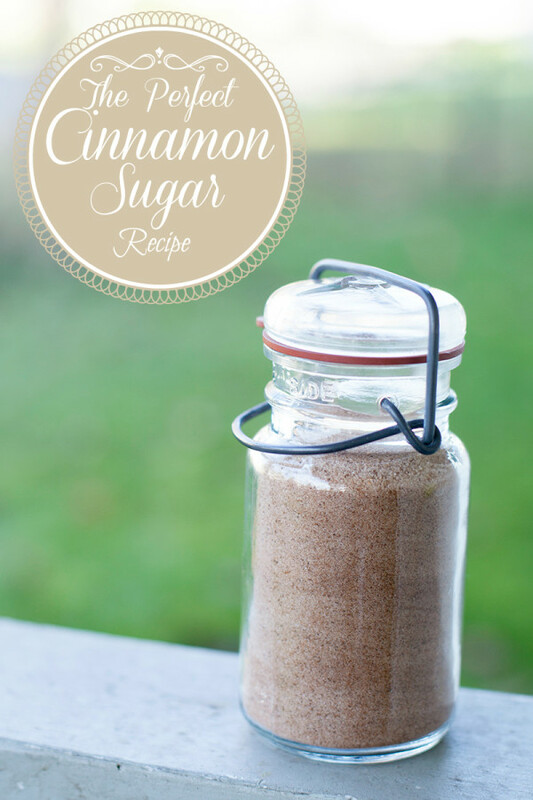 Love having cinnamon sugar on hand — I use it so often! 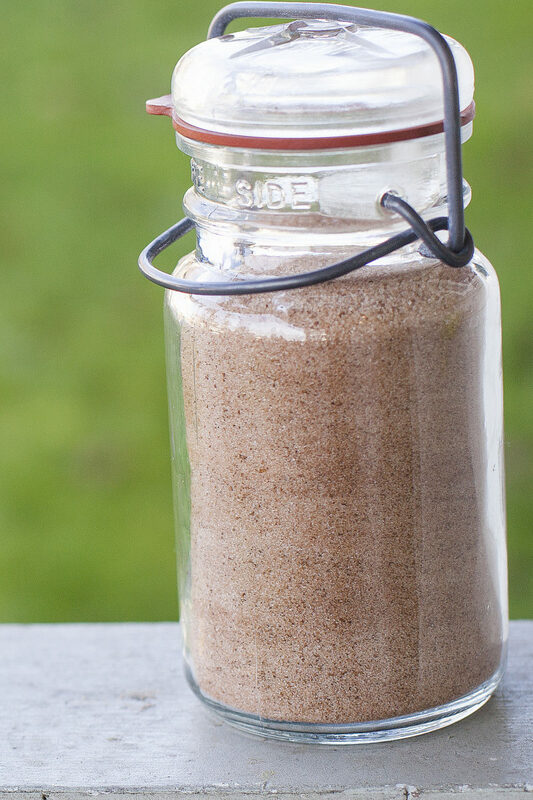 Such a great idea to use coconut sugar for this recipe. We always have some on hand, and it’s great to avoid refined sugar when we can. Thanks Samantha, every little change counts!